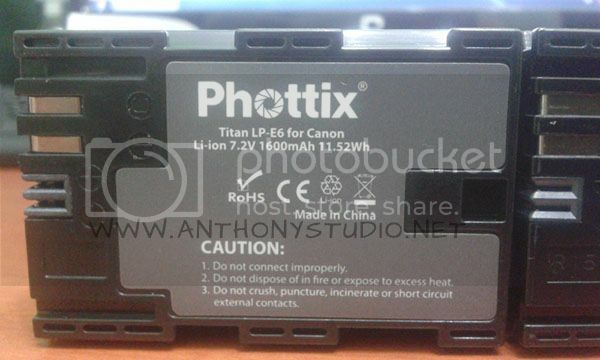 The Phottix Titan LP-E6 battery works like the Canon LP-E6 and is compatible with the latest Canon cameras including the 6D, 7D, 5D Mark II, 5D Mark III,60D and 70D. 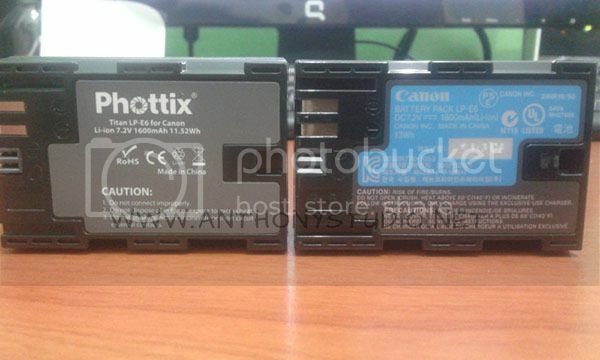 The Phottix LP-E6 battery is 1600mAh@11.52Wh, which is slightly 11% lower capacity compared to Canon 1800mAh@13W.h resulting less shots can be taken. But on the other hand, the price of Phottix LP-E6 is more than 50% cheaper than the Canon one. Phottix Titan rechargeable batteries feature high power and large capacity cells. Titan rechargeable batteries have been highly acclaimed by professional photographers for their excellent reliability, efficiency and safety features. Li-ion batteries have no “lazy battery” effects and allow recharging of the battery without full discharge. -Repeat the charging and discharging cycle for 3 – 5 times. For your info, Phottix is a cutting-edge international company specializing in photography accessories.